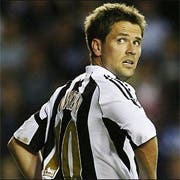 ENGLAND striker Michael Owen is planning to splash 15 million euros on a site once destined for a theme park. The Newcastle United star reportedly wants to make the site, once earmarked for Euro Disney, his future holiday home in Spain. The property, dubbed Villa Loma Five, would make the perfect home for Owen. It is just five minutes from one of Spain’s most important horse riding stables the Escuela de Arte Ecuestre, near Marbella. Horses are Owen’s other main passion after football. The 16,000 square metre site is surrounded by high walls and can only be entered by electronic gates. While reports are sketchy, the Daily Express claims he has also taken delivery of detailed plans for the once planned theme park from a Walt Disney employee. It is unknown whether he intends to try to resuscitate the plans to build a theme park on the site. The Costa del Sol had initially been the intended site for Euro Disney but was pipped at the last minute by Paris. Only four years ago it was reported that Disney was once again planning to invest in a theme park in the area. According to sources, agents working for the giant US company had been buying up large chunks of land around Manilva. While the company denied it, sources in the town hall, confirmed that Disney had been looking at sites. Owen has been busy planning for his retirement from football, for which he is reported to be about to sign a new 25 million euro contract. Last year the 28-year-old opened his multi-million police horse-racing establishment in Cheshire.